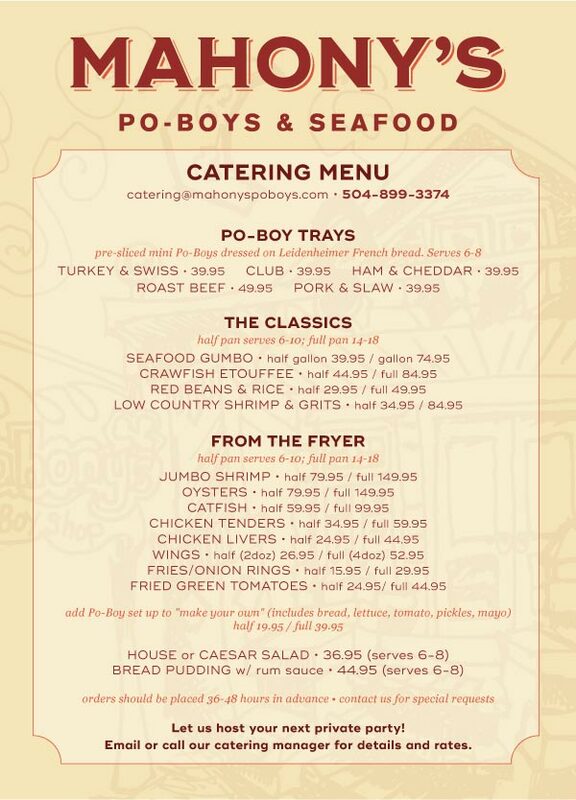 Call (504) 899-3374 to place your order for in-store pick-up. Let us cater your next event! Click the link below for our catering menu.